The gift, as she described it, was the ability to envision a new story that she could live into as both a mother of a son and daughter, and a busy professional. This was a business seminar, and yet she took away something profoundly more meaningful than just marketing insights. I was on stage for the half-day workshop, but I wasn’t the center of the story. Ilknur and her 12 colleagues were. I was their story mentor guiding them on how to build a narrative for their quest: making Haarlemmermeer the Silicon Valley of Sustainability. The barn we were in was recently converted into the Circular Expo, a gathering place for thought leaders in the circular economy, a business approach that produces no waste or pollution. I guided them through the 10-step Story Cycle with the promise that I would enchant them along the way. It’s not that I’m particularly charming. It’s the process that’s bewitching. When workshop participants recognize the universal pattern to story in their lives, and then learn how they can be intentional about using it with the Story Cycle to advance their personal and professional pursuits further, faster, they become fascinated by the experience. Inspiration is the emotion I most often hear about from participants following a workshop. Isn’t that what we want our brands to do? Turn the experience we create into a lasting emotion. This is how you humanize your B2B brand. It’s how you connect what your professional services firm does with how you enlighten and enrich your customers. You have established the context for your brand story. In Chapter 6 of the Story Cycle, Enter the Mentor, you will identify your brand promise, gift and personality. When I was in college, I worked summers as a carpenter’s assistant for Constructors Pamco, our dad’s heavy construction company. One summer I was building concrete forms out of plywood when I smashed my thumb with a hammer. I cursed and jumped around like an idiot. Tossed my hammer and tucked my throbbing thumb under my armpit. Isn’t that a weird human reaction to flattening your fingers with a thud – stuffing them under your arm? What emotional promise is behind your brand? What unique gift does your product or service provide to your customers? What authentic personality does your brand express to the world? Can you boil that emotion down to one word? The more specific you can be the better. Because this is the point where you start truly humanizing your brand. It’s not what you make, but what you make happen in your customers’ lives. What you make is a commodity. What you make happen is your differentiator, and it’s what makes people care about you and your brand. I like to start by jotting down up to nine brand descriptors. These are often adjectives like loyal, brave, kind and true, providing you’re a Boy Scout in this example. What words best describe your brand? Then coalesce those descriptors as you consider how your brand makes your audiences feel. By audiences I mean everyone who comes in contact with your brand: staff, employees, customers, shareholders, stakeholders, vendors, media, etc. Although I hear Business of Story workshop attendees express inspiration as their primary emotion, I wanted to drill down to what caused that emotion. Is there a deeper truth they’re experiencing, but not describing? I believe it’s enchantment. Story fascinates us. We hunger for it. We’re meaning-making machines, and story is our fuel. As Jonathan Gottschall says in his book, The Storytelling Animal, it is story that makes us human. You humanize your B2B brand by making it emotional to your customers through the stories you tell and act out. It’s how you elevate your product or service from a commodity into self-actualization where profit margin and customer loyalty hang out. Here’s what I believe are the emotional promises behind these brands, each a commodity in their own right. Do you agree with my assessment? Your emotional brand promise is triggered by the gift your customers receive by doing business with you. How does your product or service level up your customer? What is it that you make happen in their lives? This is often not a tangible outcome but an emotional one. Remember how Ilknur described the “present” she received from the story workshop? Sure, she built knowledge through the hands-on program with tangible materials. But it was how she felt afterward that matters. That gift of reigniting within her–her storytelling superpower. We provide this brand gift for one purpose: to help people live into their most powerful stories. Which, by the way, is our brand purpose. But I will cover that in Chapter 9 of the Story Cycle: The Moral of Your Story. Do you remember the old way of branding? Marketers used to fish around for the right personality by comparing the brand to dogs, cars and booze, among other odd things. If your brand was a dog, what kind of dog would you be? What kind of drink, magazine, vehicle? These questions never made sense to me, but we asked them any way and then tried to cobble together a meaningful personality. Today, we have found that using the 12 primary archetypes as defined by famous Swiss psychiatrist and psychologist, Carl Jung, are helpful to capture a brand’s unique personality. Archetypes are patterns of thinking that help us categorize, or stereotype, persons, objects and concepts. Jung believed that universal, mythic characters in the form of archetypes reside within our collective unconscious. He defined 12 primary archetypes that symbolize basic human motivations. Archetypes are helpful in branding because they are immediately recognizable to the team developing the personality, and they provide a way to affix human emotion to an inanimate product or service. What is the personality archetype for your brand? You can find Jung’s 12 primary archetypes in this SlideShare. Each of the archetypes in the deck feature example brands. Do you agree with the personality pairing? Did you find your dominant archetype? How about one or two supporting archetypes? Can you see how this will help inform the creation of your content, copy, design, user experience and customer engagement as the most authentic expression of your brand personality? The Creator is the primary archetype for the Business of Story platform. This personality is an authentic expression of who I am as founder, and what I stand for. I have been in the advertising business for 30 years, have run my own agency for 20, and have been steeped in storytelling for the past 10+ years. My purpose is to help professionals live into their most powerful stories. The Magician is one of our supporting archetypes. It symbolizes how we help you reignite your innate superpower of storytelling to nudge the world in any direction you choose. Sage is another natural supporting archetype that colors our brand’s personality. It speaks to our decades of experience in the communications industry, as well as our study of narrative structure and how our brains are hardwired for story to connect with people and move them to action. This blog appears in the sixth issue of our Business of Story Magazine: Connect with your brand’s promise, gift and personality. You can hear two insightful segments on brand archetyping on the Business of Story podcast. One features Margaret Mark & Carol Pearson, author of The Hero and the Outlaw: Building Extraordinary Brands Through the Power of Archetypes. You can also learn from Margaret Hartnell, author of Archetypes in Branding: A Toolkit for Creatives and Strategists in this episode. Both shows take you deep in the psychological underpinnings of brand personality profiling and are helpful as you determine your brand archetype(s). Have you defined your brand promise, gift and personality? If so, please share them in the comments below. If not, then consider downloading our new and improved DIY brand story strategy guide. You can now capture your thoughts inside the interactive PDF. Plus, you can use the new video tutorial that complements each of the 10 chapters in the Story Cycle to take you step-by-step through the process. Why does it matter to humanize the brand of your professional services firm? Because thriving brands have evolved from promoters of stuff to publishers of meaningful content that enlightens and empowers their customers. And they transfix their audiences with spellbinding stories. “It was only a few days before Friday, June 17th that I received an invitation to a masterclass on storytelling by Park Howell. ‘The ultimate guru on this subject,’ the invitation read. Never heard of the good man before. I had a meeting at the same location that morning and just one appointment to cancel. “Even more important, something inside told me to attend this class. It was organized by John Nederstigt, an alderman of the municipality I work for. We share a passion for the same subjects. “Not really knowing what to expect but open for what’s coming next, the masterclass started. In a few hours, that literally flew by, we were introduced to the basics of storytelling and we wrote our own stories. I don’t know if anybody else initially feels cheated a bit, when you learn that basically every movie, fable or ancient story ever told has the same framework. He had a very dynamic presentation and inspiring examples. “When Park handed us the little booklet to start writing our own stories, I was skeptical, because I talk a lot but hate to write. “Then it happened. Drilled by Park not to think too much but just to write down your story guided by the Story Cycle, I started writing. Where I came from and where I am now, the obstacles I encounter and the people that can help me through them. The initial process was unexpected, but I found it easy. However, I blocked at the “Victory is at hand” chapter, because that is exactly where I am now in my life. I’m on my way to a new phase, but not knowing how to get that breakthrough – stuck in the middle. “Actually describing the breakthrough in my story was also parallel to a breakthrough in my life. Suddenly I knew how to proceed. This felt like a gift that afternoon, and that’s also how I described it to Park later on. “And the breakthrough that afternoon created another one in my life. A week after the masterclass some new unforeseen opportunities presented themselves. Get your storytelling marketing started with the DIY guide to compelling brand stories that sell. Learn More. Learn more about working with Park Howell and getting your brand story straight on our website. 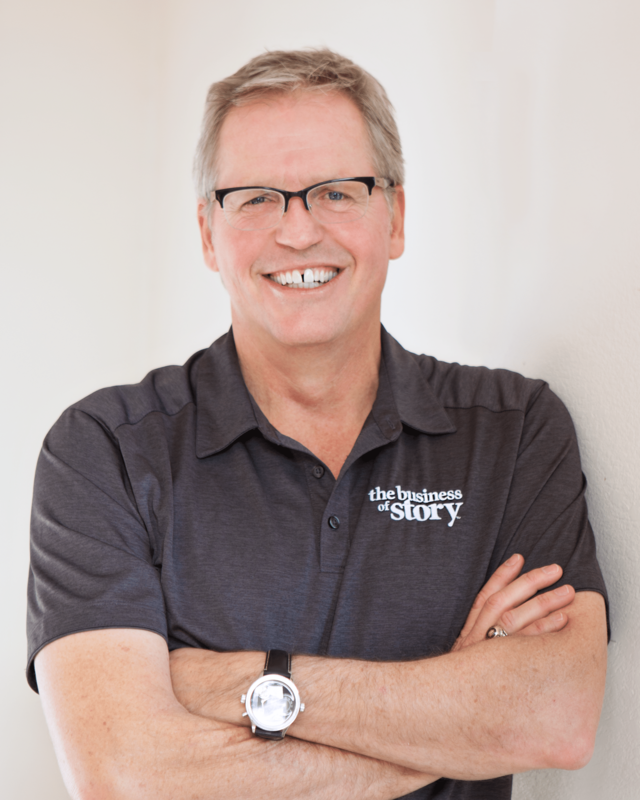 Park Howell is a trusted brand story strategist and sought-after keynote speaker on story marketing. He has helped many international brands including Coca-Cola, Bayer Pharmaceutical, Cummins Diesel, American Express, and United States Air Force. Learn more about working with Park Howell and getting your brand story straight through workshops or inspiring storytelling keynote presentations. Our sustainable marketing firm’s environmental policy is laughable.